Your mission is to contribute to customer’s success when you collaborate on definition of the technical architecture for 3DS Delmia Products, assist in technical architecture assessments and supervise technical implementation processes. You have dreams? You enjoy a challenge? 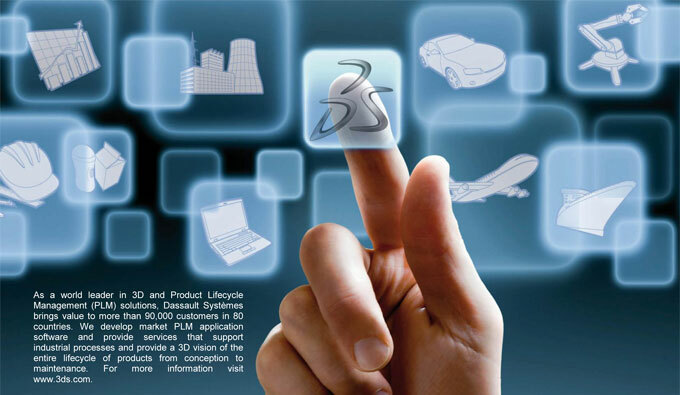 Here at Dassault Systemes, we empower people and energize passion to change the world and create the future. Let’s open new horizons together with the power of 3DEXPERINCE virtual universes! Work with the Solution Architects, to bring technical architecture expertise and recommendations on customer projects. Design and document the technical integration of DS solutions within the customers’ information system landscapes by leveraging architectural design methods, patterns and best practices. Ensure that the design and the deployment of the technical solution are aligned with the Security, Performance, Scalability and the Capacity expectations of the Customer. Provide technical expertise on system architecture and system performance improvements during the deployment and/or production stage. Share expertise with customer on change management regarding infrastructure processes. Provide tuning guidelines for database and other DELMIA Apriso product components. Collaborate with R&D departments and contribute to 3DS Delmia products improvement. Your architecture should deliver high availability, stability and high performance to provide the best possible experience to end users. You have to be ready for a challenging work environment, state of the art technologies and interactions with the Dassault Systemes’ R&D teams. If you want to join a well-organized, international team of professionals, work with innovative technologies and have an active role in developing state-of-the-art solutions for global companies, you have come to the right place – Join us! To express interest in this position, submit your resume in English via Aplikuj button.